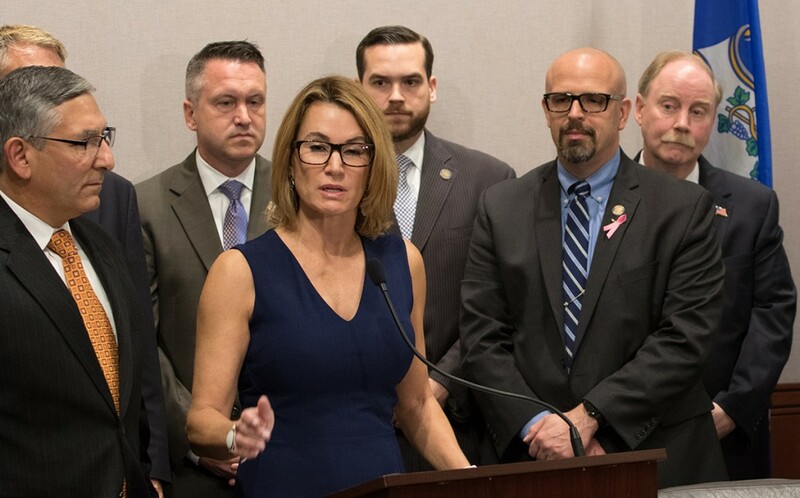 HARTFORD – House and Senate Republicans are calling on Governor Malloy’s budget office to answer to state lawmakers about why the administration withheld information from the public detailing a shortfall in the state budget. House Republican Leader Themis Klarides (R-Derby) and Senate Minority Leader Len Fasano (R-North Haven) are calling for the Appropriations and Finance, Revenue & Bonding committees to hold an informational hearing so that officials from the governor’s budget office can explain the discrepancies in their budget numbers as compared to the nonpartisan Office of Fiscal Analysis. “The Malloy administration had an obligation to present an accurate assessment of the state’s fiscal health and it provided misleading information. We need to have the Office of Policy & Management (OPM) Secretary come before the legislative oversight committees and explain himself and tell us how and why his numbers conflict with the non-partisan Office of Fiscal Analysis,’’ Rep. Klarides said. “Who can the public trust? What can they believe? The governor reported one thing internally to his agency heads and something completely different to the public. His numbers behind closed doors show a significant deficit and serious financial issues lawmakers should be talking about fixing now. But on the surface, he shared a much rosier picture that matches the ‘all is well’ line we’ve been hearing repeatedly from Democrat lawmakers. That kind of doublespeak is infuriating,” said Sen. Fasano. The Republican calls for clarification come after it was revealed by the CT Mirror that Governor Malloy’s office disclosed a budget deficit to state agency heads, while reporting to the state comptroller’s office 14 days later that no shortfall existed. On Thursday, the nonpartisan Office of Fiscal Analysis (OFA) weighed in after they were asked by Republicans this summer to begin working on their own analysis. OFA projected a deficit of approximately $78 million. OFA also found a reduction in personal income tax collections of $80 million and a reduction in sales tax revenue of $39 million. “People deserve better than a government that hides the truth. The state budget, crafted and passed by Democrat lawmakers who rejected Republican proposals, is already failing Connecticut. Lawmakers should be talking about how we fix those problems now, not ignoring the reality before us. We’ve seen this happen before, and not addressing the issues today only creates more problems for our families tomorrow,” said Sen. Fasano.